Christmas in Prague has changed a lot since I moved here in 1992. In those days, I don't even think there was a Christmas market, though the understated decorations on the historic center's (quiet at that time) streets were beautiful. 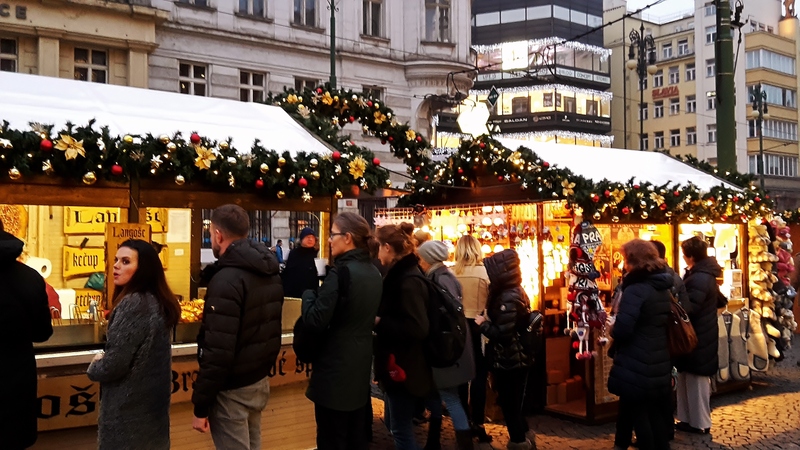 After a few years, the city began having a market on its main square that has in recent years turned into a full-blown Central European Christmas market. Now Prague's market rivals the famous ones in Germany and Austria. And I have to say, not only is it beautiful and magical, but it's lots of fun! 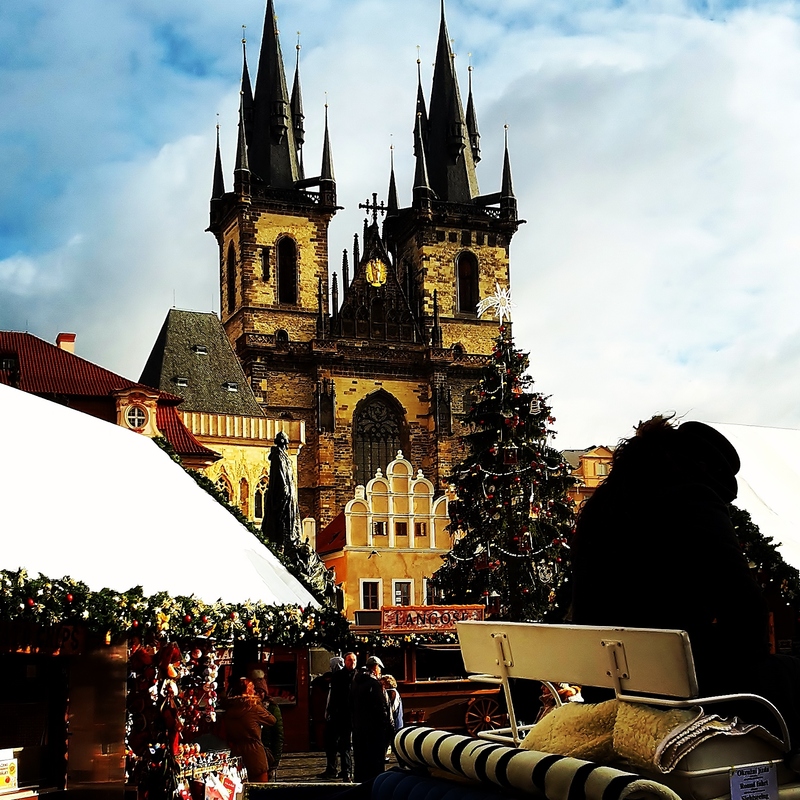 Now Prague has become quite a Christmas destination, and many cruise companies such as Viking, have added it to their Christmas market itineraries. The tree on the center of the main market is customarily lit on the Saturday night before Advent. It's prettiest at night - or, I should say, after dark, which is at 4:00 pm during this time of the year - when the lights really sparkle, creating a special, magical atmosphere. 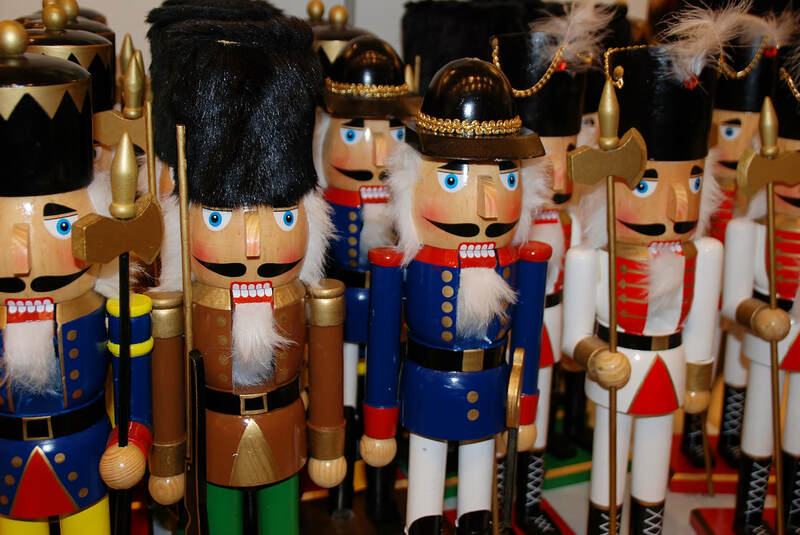 Among the many traditional items for sale at the Christmas markets are beautiful nutcrackers like these. In addition to all of the Christmas ornaments and trinkets, undoubtedly the best thing about Prague's Christmas market is the food (and drink). Of course, Czech beer is plentiful, as is mulled wine and hot chocolate. Warm Prague ham and delicious sausages are also prevalent. And every couple of years there seems to be a new food item that is the latest craze. This year these giant - and I do mean giant - donuts are the bomb. I had to indulge in complete impulse buying on first sight. And they are delish! The Christmas market on Prague's Namesti Republiky is one of many on smaller squares in the city's center and beyond. Many of these smaller markets are worth visiting and have atmospheres all their own. They are also less crowded and have a bit more of a ore local feel.